Although Rockaway Beach is not in Brooklyn, it is a favorite spot of many Brooklynites and doing a blog post on the beach made famous by the Ramones seems appropriate. Rockaway beach was once a summer resort destination but like many summer getaways of the early 20th century it saw a decline after WWII when mass car ownership fueled an exodus from urban centers. Although, parts of Rockaway have remained a vibrant community with year round residents other parts of the peninsula suffered from urban decay. At its peak the boardwalk hosted amusement parks, food vendors and a summer bungalow community. More recently there has been a renewed public interest in Rockaway Beach and growing crowds of visitors are coming to the boardwalk, a wider range of food options are being offered and a growing community of surfers are visiting and moving to the area. 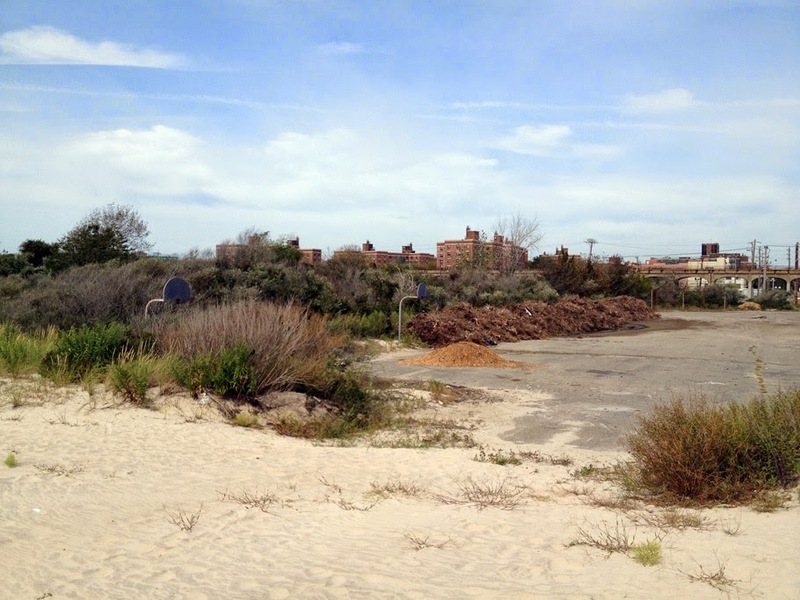 Along the eastern end of the Rockaway boardwalk lies the specter of an abandoned beach bungalow neighborhood. The bungalows are gone but the infrastructure, including crumbling streets, telephone poles and and basketball courts remains. Most of the beaches' visitors that come from outside of the Rockaways never venture much further east than Beach 67th Street. 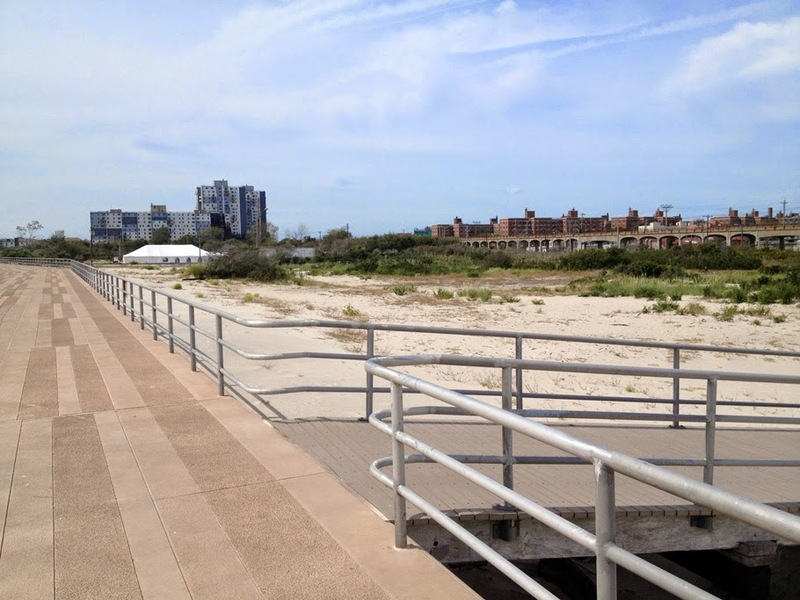 The first time I walked east of Beach 67th Street on a beautiful late summer Friday I was surprised to see a large swath of vacant land and an underutilized boardwalk. Much of the boardwalk on the eastern end survived Hurricane Sandy; however, in spite of the good condition of the boardwalk and beautiful weather, there wasn't anyone in site and an eire silence persisted. I must have walked a mile without seeing another person. I was told by some local residents that before hurricane Sandy this area was home to a pack of feral dogs. Fortunately for me they were no longer there. This area between Beach 56th Place and Beach 32nd Street used to be home to a summer bungalow community. 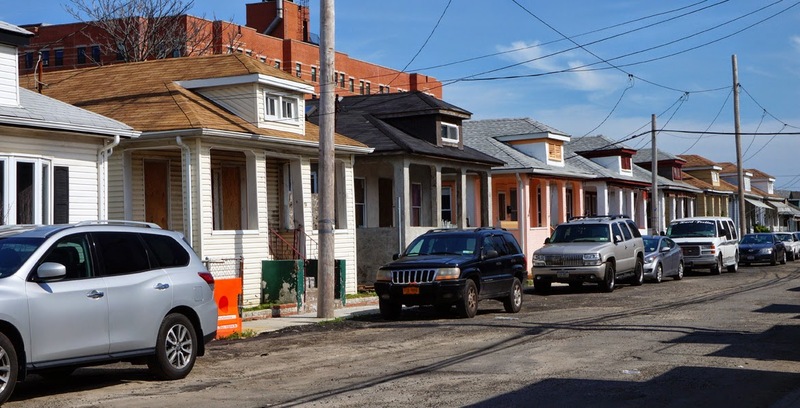 There used to be thousands of bungalows on the Rockaway Peninsula; today there are fewer than 400. Construction of the bungalow community began in the early 1900s to supplant tent communities that began to pop up along the boardwalk. The neighborhood of Wavecrest is home to the Far Rockaway Beach Bungalow Historic District. The district is the largest intact portion of the original bungalow community, spanning 3 blocks between Beach 24th Street and Beach 26th Street. Most of these homes were designed by architect Henry Hohauser and constructed by Isaac Zaret in the 1920s. Henry Hohauser is better known for designing Art Deco hotels in Miami. The beach side bungalows were modest summer homes built to meet the recreation demand of working class Russian, Italian, Irish and German Jewish immigrants. The bungalows are all 1-1/2 stories with 3 bedrooms, a kitchen, porch, bathroom and many windows. There were many factors that may have led to the decline of the beach bungalow community like the closure of the main rail bridge after a fire during the 1950s, crime, redlining, cheaper transportation to destinations outside of the city and changing demographic trends. Whatever the reason, many people stopped coming to the Rockaways as a summer getaway and a large swath of bungalow property was abandoned and repurposed for public housing. Not winterized, the bungalows were inadequate as public housing, so their use by the city was short lived and most of the bungalows were demolished in the 1960s under commissioner Robert Moses to make way for apartment complexes, housing projects and the widening of Seagirt Boulevard. In place of much of the bungalow community, a derelict land is all that remains. 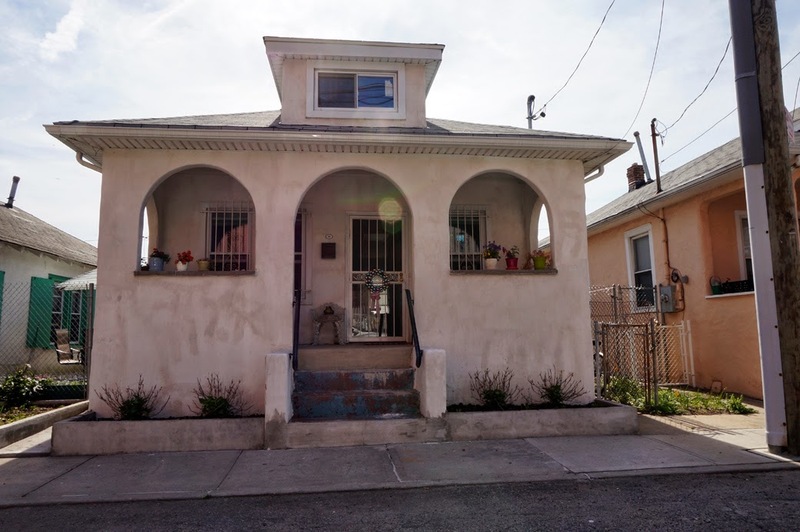 Although the Rockaway bungalow community has State Landmark Status, it is still vulnerable to demolition by developers and there has been a long running battle between developers and preservationists. 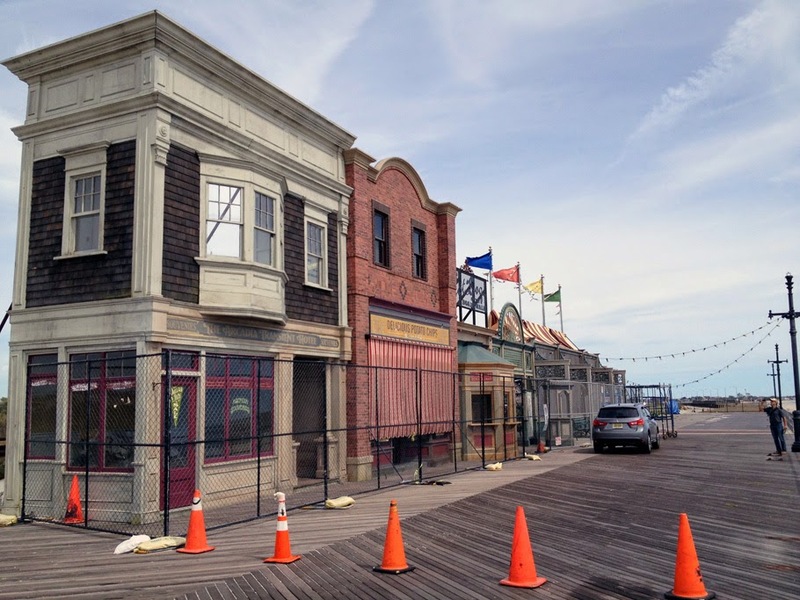 In 2011 Bootleg Productions, the producers of Boardwalk Empire donated $10,000 to help preservationists like Richard George and the Beachside Bungalow Preservation Association with preservation efforts for the remaining bungalows. At the end of my walk through the forgotten bungalow neighborhood where there wasn't a soul in sight, I came across a scene of old cars and men in period clothes wielding shotguns. 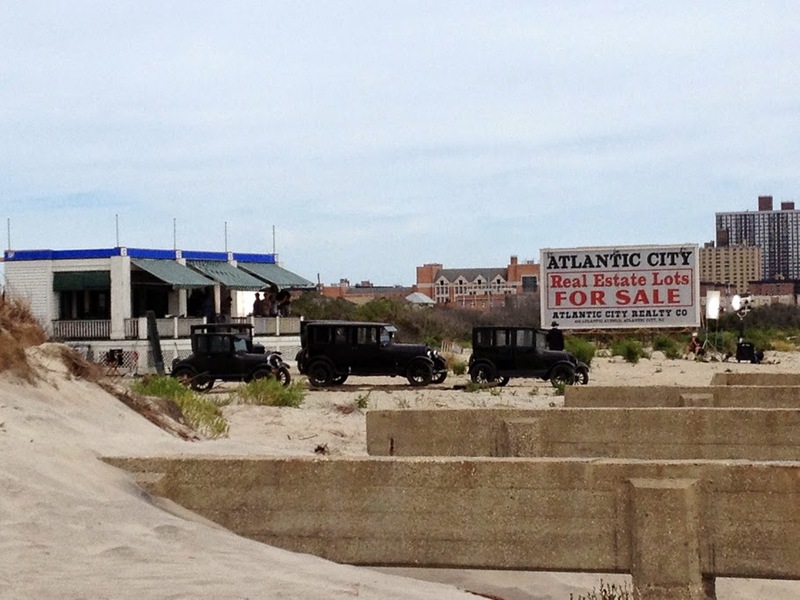 It was the set of Boardwalk Empire. The show began filming in the Rockaways in 2009. Although Rockaways' Playland (formerly located next to the beach between Beach 98th Street and Beach 97th Street) is the longest running and best known of the Rockaway amusement concessions, it was not the first. George C. Tilyou's Steeplechase Park and L.A. Thompson's, Thompson's Park preceded Rockaways' Playland. Both Tilyou and Thompson made names for themselves in the amusement industry. Tilyou was known for helping to make Coney Island one of the most famous amusement parks in the world and Thompson was known for his innovations related to roller coasters. Known by many as "the father of the modern coaster" he held numerous roller coaster patents and his company, "L.A. Thompson Scenic Rail Company" built 50 roller coasters in the United States. 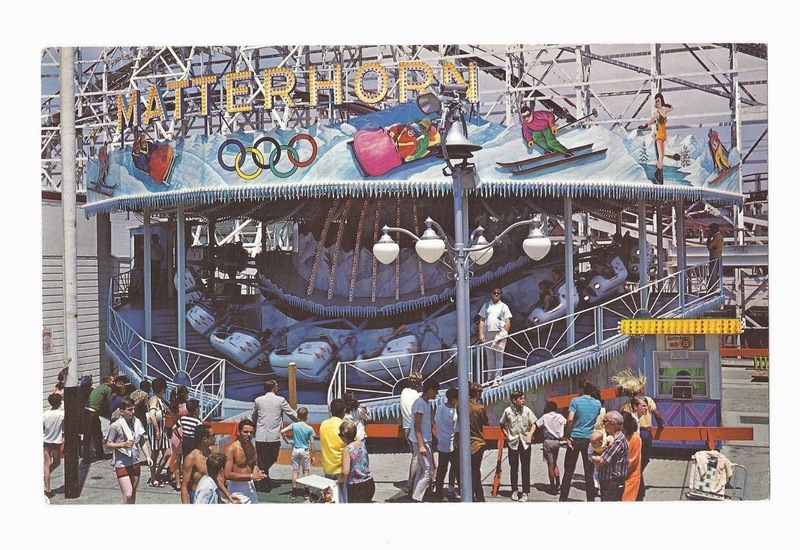 Among the various attractions of the two mens' parks were a fun-house, shooting gallery, ski-ball, a two story bathhouse, and the Gravity Wonder (or "Hurricane") roller coaster. Eight years after Thompson's death Thompson's Park was sold to a company that added an arena, gymnasium and olympic size swimming pool, as well as other upgrades to the park and reopened it as Rockaways' Playland on May 30th, 1928. The arena was used for boxing matches and circus performances; the pool was once used for international olympic tryouts for female swimmers. Over the years the amusement park was renovated, rides were added and additional transportation options to get the park were offered; however, by the 1970s park attendance was declining. After 86 years of operation, Rockaways' Playland closed its doors for the season in 1985 never to reopen again. 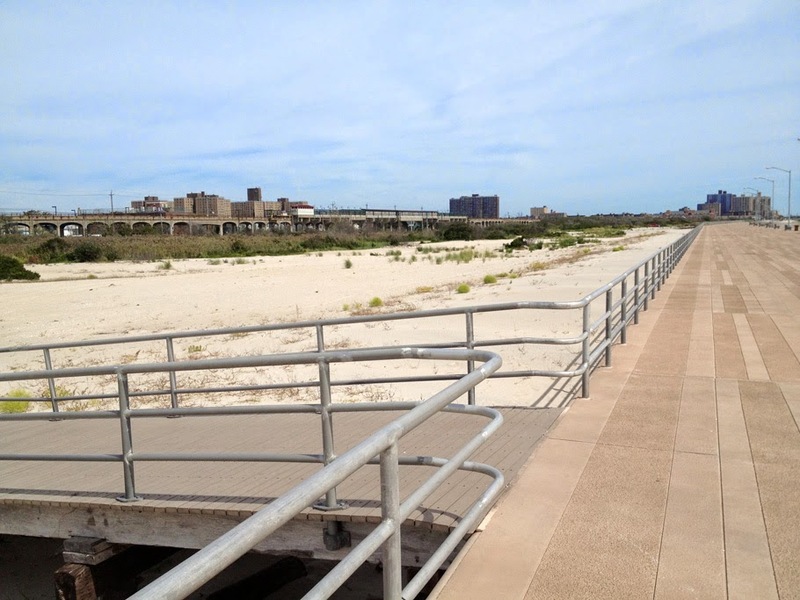 In 2012 the Rockaway Peninsula suffered the wrath of Hurricane Sandy which destroyed much of the boardwalk, as well as many homes and businesses. The community is bouncing back though and beach attendance continues to rise in spite of there being missing sections of boardwalk. Today, Rockaway beach is being redeveloped and new businesses including surf shops, surf schools and summer food vendors like Rockaway Taco and Roberta's are setting up shop at the beach. One interesting vision for the future is a tent hotel based on the original tent communities of the early 1900s. The potential "Camp Rockaway" hotel proprietor is currently raising money for design development on Kickstarter. "Far Rockaway Beachside Bungalows" A Guide to Historic New York City Neighborhoods Historic Districts Council. Laterman, Kaya "In Far Rockaway, Recognition for Bungalows" Wall Street Journal. Online. 28 January, 2013. "Hamilton, William L "Last Stand for a Bungalow Backwater" New York Times. Online. 23, October 2003. Gottlock, Barbara & Wesley Lost Amusement Parks of New York City. Charleston, South Carolina: The History Press, 2013. The old castle on the corner of 4th Avenue and 43rd Street was designed by architect Emile M. Gruwe in the Romanesque Revival style. 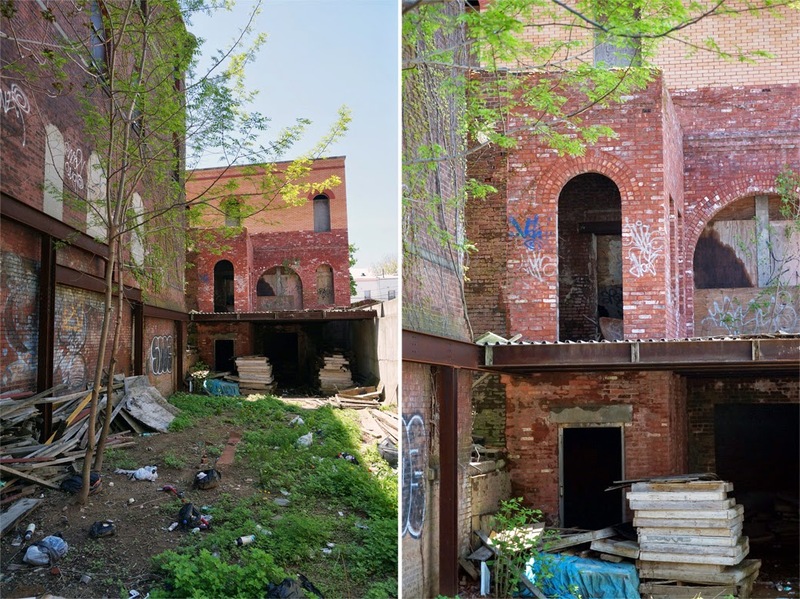 Many of Brooklyn's police precincts built in the late 1800s were built in the same style; however, the 68th Precinct is one of the few that survives today. 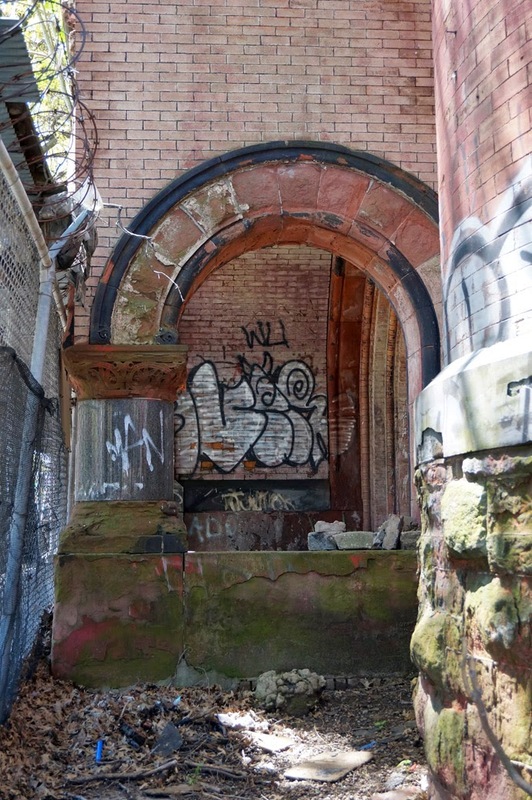 A similar station house designed by Gruwe is still in use in East New York. Other known works by Gruwe include the Belvedere and Florence apartment hotels. Built in 1886, the structure housed Brooklyn's 68th Police Precinct until 1970 when the city consolidated the the precinct with another Brooklyn precinct to create a new and expanded precinct. 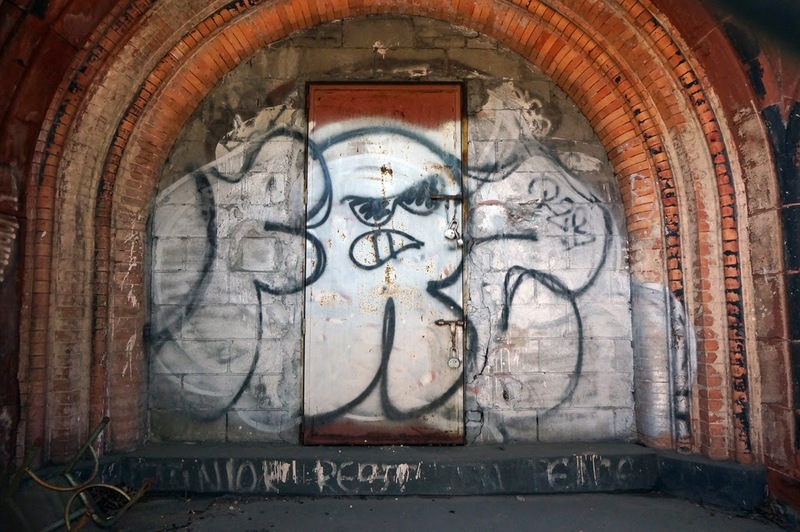 The abandoned and collapsing 68th Precinct Station House has seen better days. The castle was auctioned off in 1974 for $68,000 to Genaro James Santos who planned on turning it into a medical office building. However, Santos's Vision was never realized and the building was eventually reclaimed by the city for unpaid property taxes. Then, the structure sat empty, eventually suffering a fire in 1980. 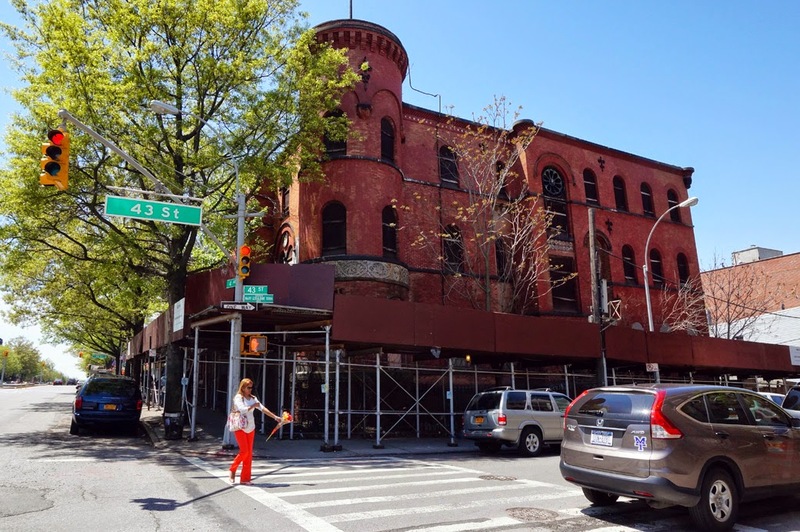 In spite of the fire, the building was designated a New York City Landmark in 1983, affording it protection from demolition or exterior alterations, and auctioned off to the Sunset Park Music Group for $15,000. 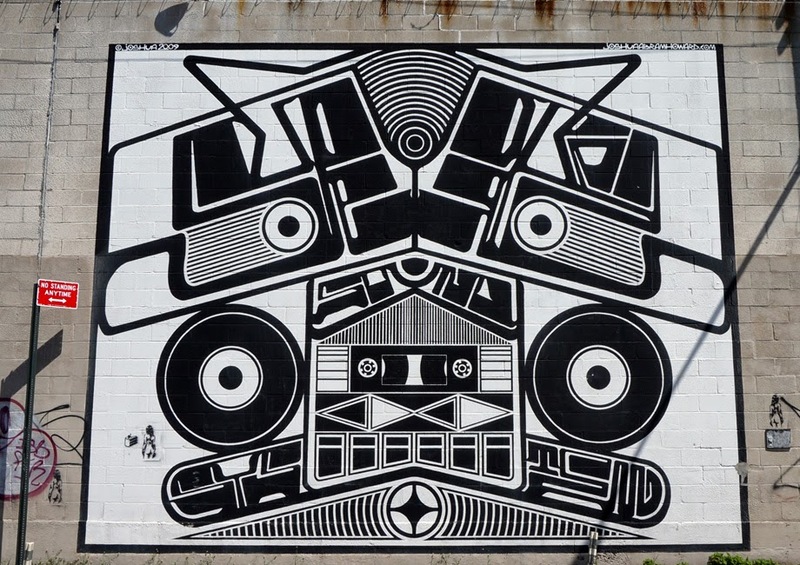 The Sunset Park Music Group had aspirations of utilizing the building for educational purposes. 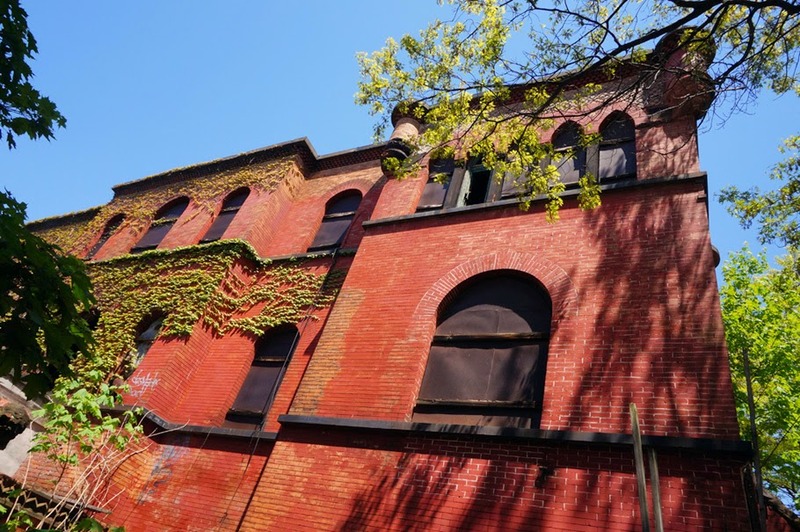 However the group struggled to finance their mission and sold the building to the Brooklyn Chinese American Association (BCAA) in 1999 for approximately $200,000. Still the current owners, the BCAA have suffered a similar plight, struggling to raise the funds necessary to renovate the building for use as a center for youth classes. Moreover, the owners are grappling with mounting fines for hazardous site conditions, expired construction permits and allowing the building to be "demolished by neglect". Today the building serves as a squatter residence and home to feral cats. 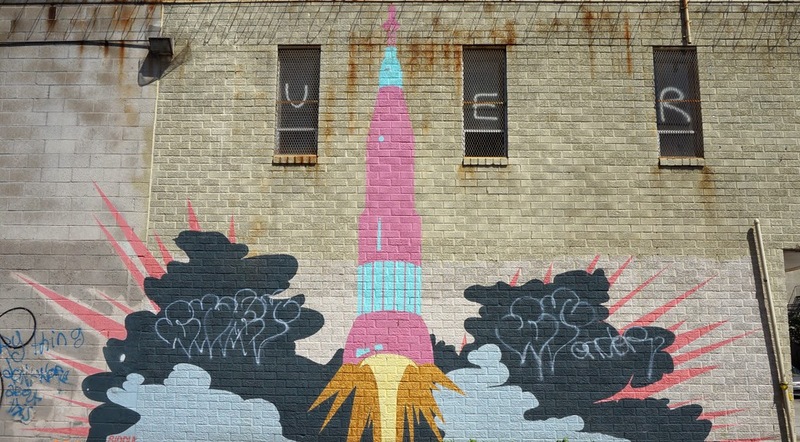 I spoke to one local resident who loves the building but sees it as an eye sore that gives outsiders the impression that his part of Sunset Park is a bad neighborhood. 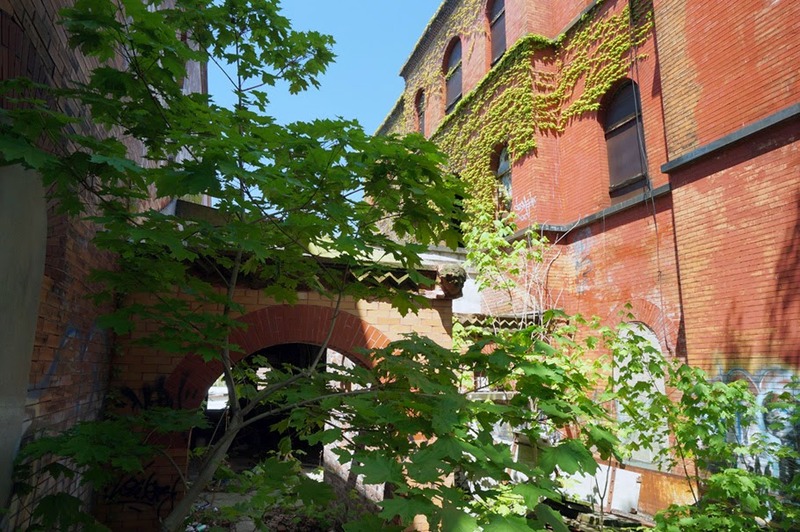 He is critical of the owners, as well as the city for allowing the building to continue to decay, questioning why the city hadn't taken the building through litigation and restored it. Photos of the interior can be found on Nathan Kensinger's Blog. Fallon, Beth "Master of His Castle Wins on Second Try" Daily News. 30 January, 1974. 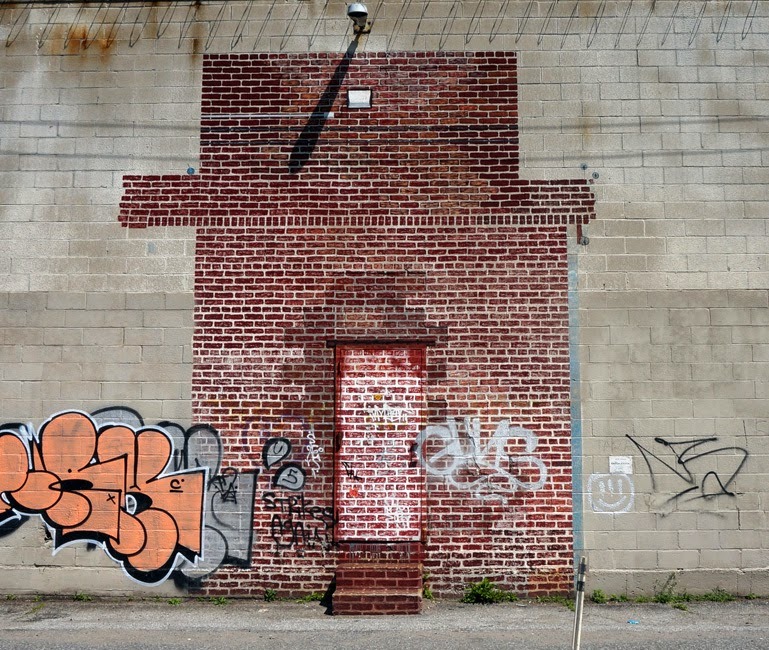 Gray, Christopher "Streetscapes: The18th Precinct Station House" New York Times. Online. 26 July, 1987. Maisel, Todd & Blau, Reuven Daily News. Online. 29 August, 2012. I love Greenpoint but it seems to sometimes get the short end of the stick when it comes to public transportation. 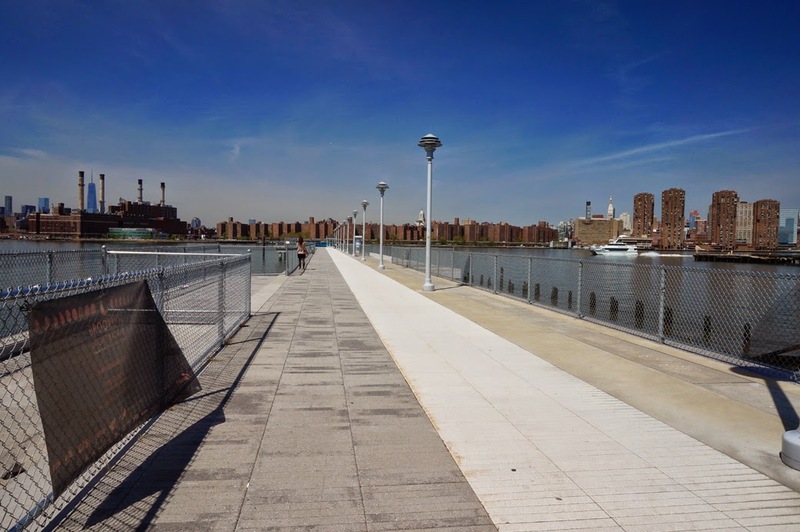 Almost three months have passed since the piers supporting the gangway to the floating dock at the East River Ferry Landing failed and there still isn't any sign of a new gangway. 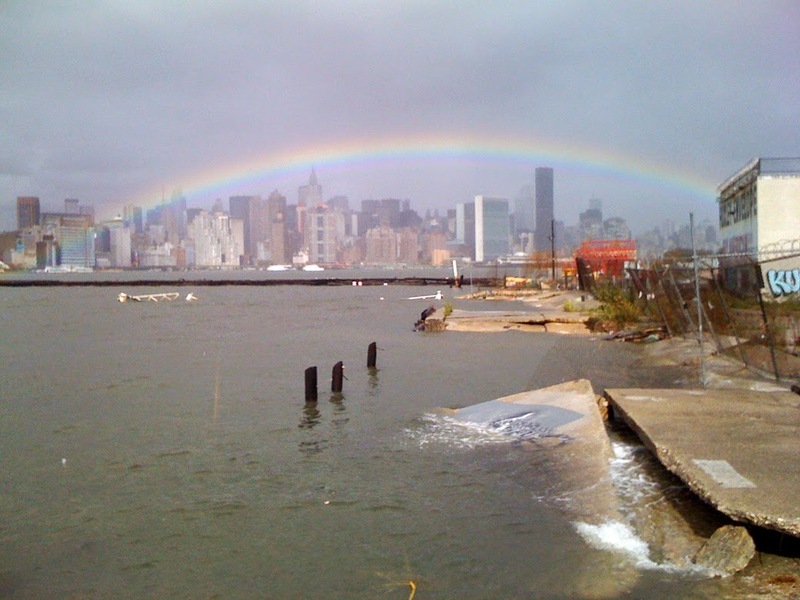 The broken ferry landing got me thinking about the India Street Pier, which is landing's home, and the Greenpoint waterfront. After all, the pier and soon to be transformed waterfront have a past. 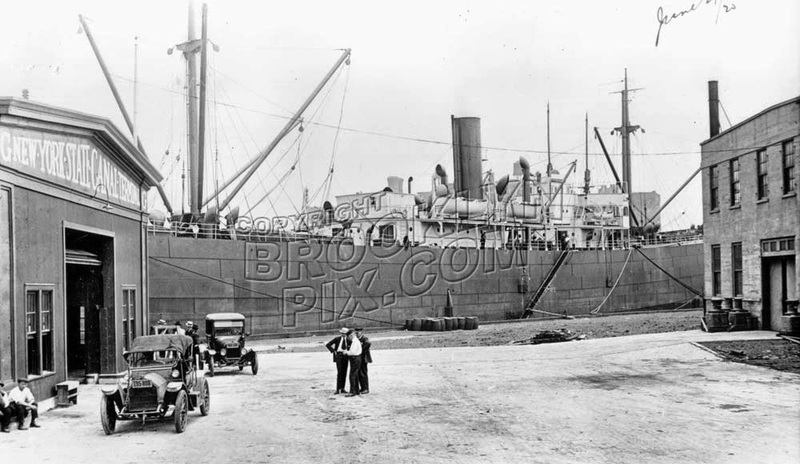 Once upon a time the Brooklyn waterfront was bustling with shipping and manufacturing centers like the Greenpoint Terminal Market and Chelsea Fiber Mill. Piers used to be located all along the waterfront but after the decline of manufacturing and shipping, many piers were not maintained and eventually began to collapse. Some of these collapsed piers can still be seen decaying along the East River. One such pier was the India Street Pier which has since been rebuilt for use as a Ferry Landing. After the storm surge from Hurricane Sandy began to recede it was difficult to tell if anything along the edge of the waterfront had been damaged since the piers and bulkheads have been crumbling for years. The dark horizontal band beneath the skyline is the collapsing pier at the end of Green Street. North Brooklyn has always had a shortage of parks relative to the rest of the borough, so when the India street pier fell into disuse after manufacturing and shipping declined in New York, Greenpointers turned it into a makeshift park. During the 1980s and 90s local residents would fish, sun bathe and socialize on the crumbling pier. The pier became a poor mans waterfront park; however, it was not safe to play there. When the city began to clean the pollution from the East River, parasitic marine borers that feed on wood pilings returned to the improving waterways. Piers began collapsing all over the city and officials began to fence off abandoned piers. After the India Street Pier was fenced off in 1995 holes were promptly cut into the fence and a neighborhood organization called Friends of India Street Pier was created to advocated for the cleaning, refurbishment and continued use of the pier. However, problems persisted as the the structural integrity of the pier continued to decline. On May 13th of 1997 a 20 foot section of the India Street Pier collapsed sending 7 people into the East River. All seven people were rescued but the city fenced off the pier once more and residents were told told to stay off it or risk being arrested for trespassing. In 1998 another section of pier collapsed, killing a man who had been fishing when he was sent into the East River along with debris from the pier. The pier was eventually rebuilt in July of 2011 as part of a deal the city made with a developer, and today serves (or is supposed to serve) as the East River Ferry Landing in Greenpoint. 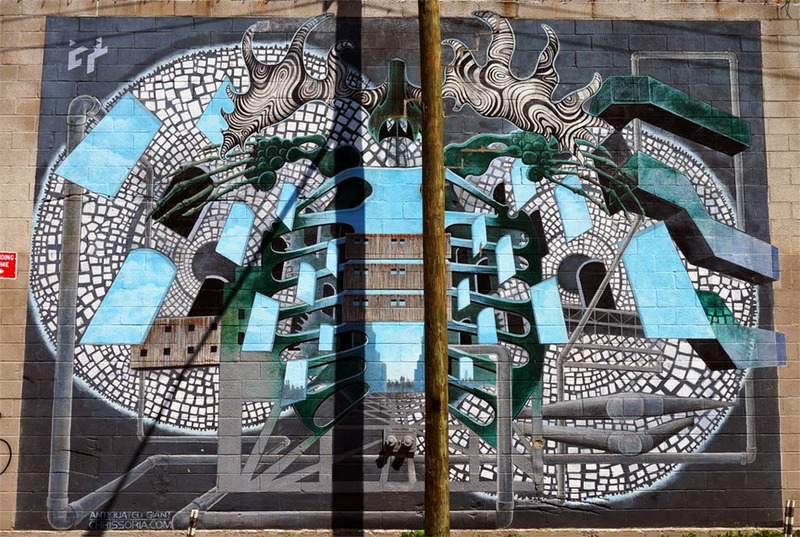 In conjunction with the pier opening, local artists were commissioned to produce murals along the wall of one of the buildings en route to the pier. 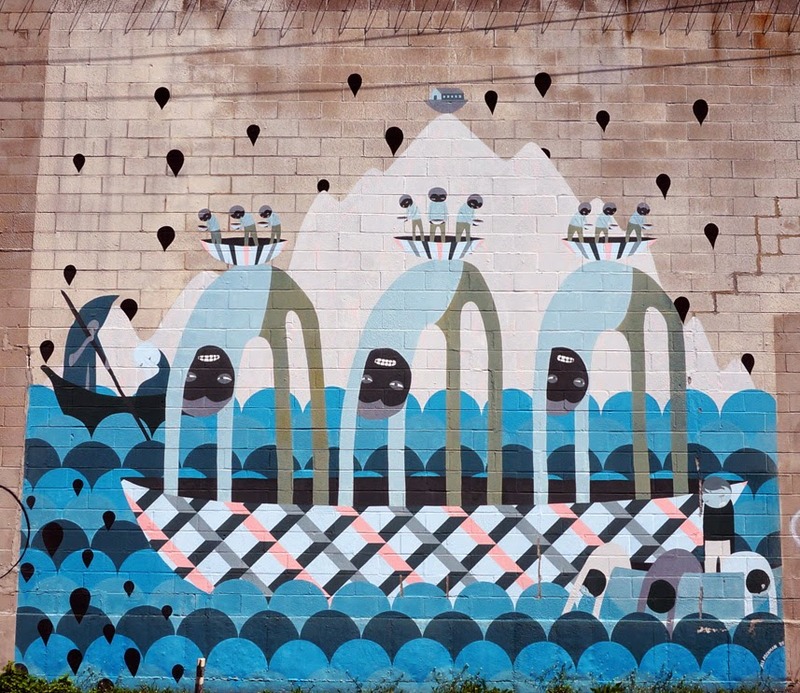 If you look up the June 2009 Google Street View of India Street between West Street and the pier you can see the artists at work on their murals. 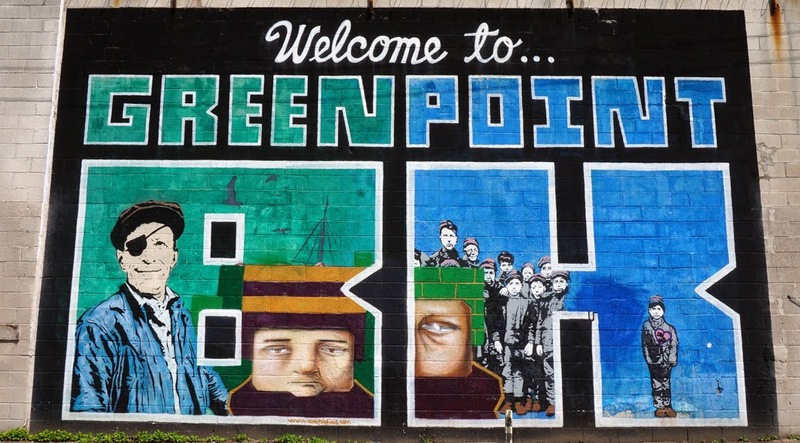 Cohen, Mark Francis "Greenpoint's Endangered Hampton" New York Times. 16 June, 1996. Rohde, David "As Old Piers Crumble, Fans Rally for a New and Safer One" New York Times. 1 June, 1997. Liff, Bob "Nonprofit status aids pier group" Daily News. 31 March, 1999.